How do I clean leather? 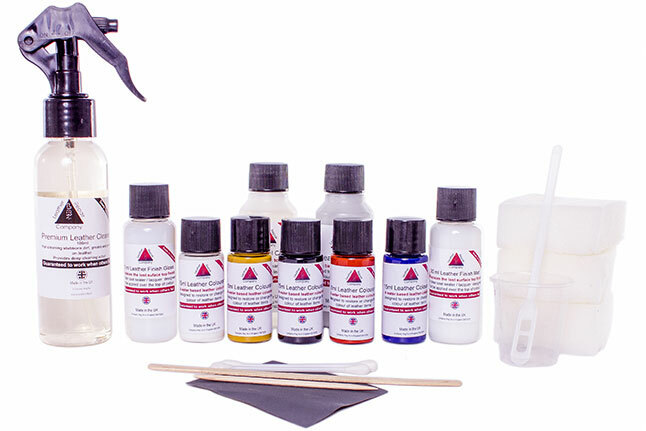 Our DIY car interior leather repair kits are perfect for injecting new life into your cars leather. Kits come in 3 different sizes and can make your leather look brand new. 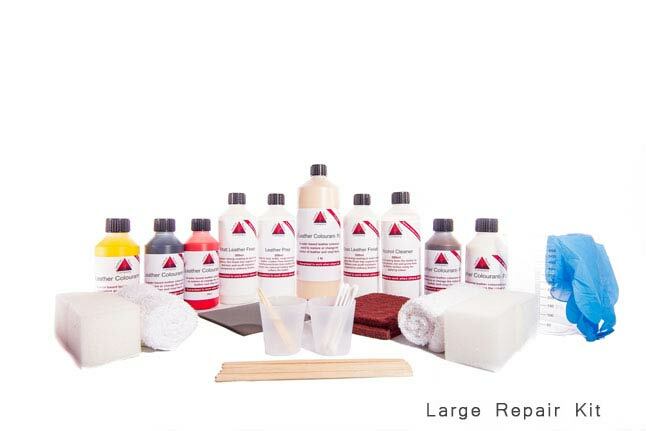 DIY-leather.co.uk are proud to introduce our interior leather repair kits. Suitable for repairing anything from leather car seats to leather cards in the doors. 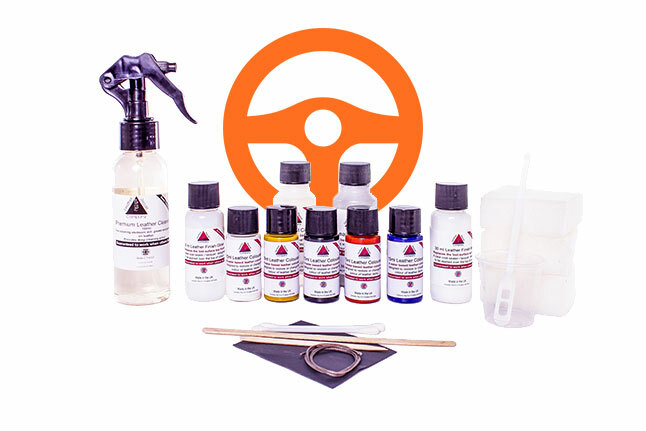 These DIY interior leather repair kits will also repair any leather steering wheel scuffs, leather gear sticks and more. You mix the colours your self to make that perfect match following the detailed instructions. Don't worry if your not confident matching your leather colour. You can send a sample into us and we'll create the exact colour so you can repair your leather interior with ease. 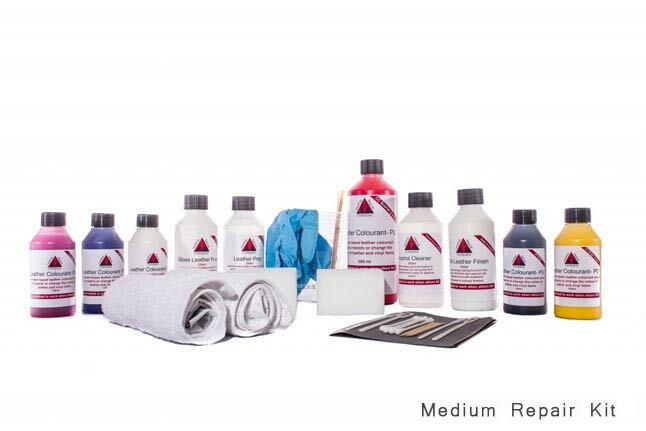 Our interior leather repair kit will repair, restore and bring back to life your leather car seats. Any faded areas where you've sat down too much or your leather car seat has sun faded can be easily restored. Scuffs on your leather steering wheel that need repairing from those fast tight bends you take, a simple repair. The interior leather repair kit also removes stains and spills. Whether this is nail varnish, McDonald's, fizzy Fanta drinks from the kids. These can be easily touched up using the contents provided in the repair kit. 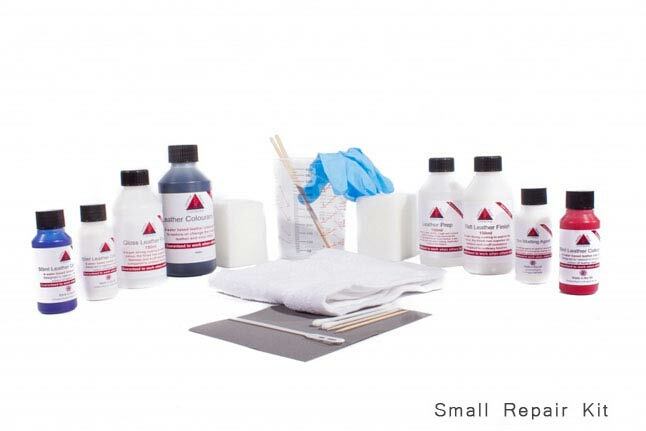 Our DIY-Leather repair kits come in various sizes. Not only do we have them for car interior repairs. 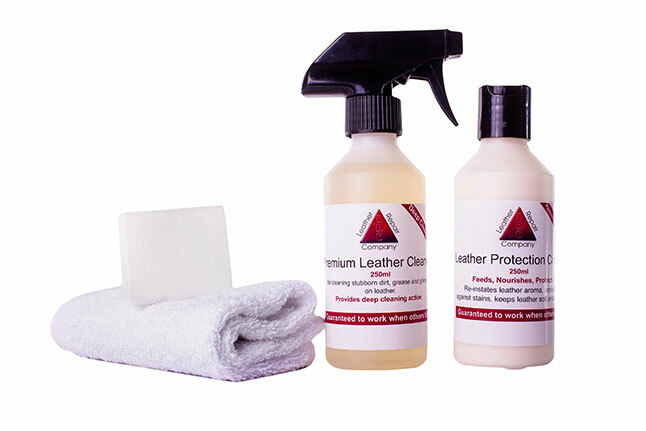 We have leather repair kits for furniture, clothing and luggage. If you have any leather items, chances are - we have a leather repair kit for you! Check out the customer reviews tab. If you have any questions about any of our DIY-Leather repair kits, simply use the "Need Help" tab. We'll get back to you as soon as possible. Our Kits are unique they are a very easy, simple four stage process. 1/ First of all you will need to clean the leather thoroughly. 2/ The next step is to use the prep, this is designed to remove some of the old surface coating, the reason for doing this is its removing all old dirt, grease, waxes and oils from the surface and some of the old manufacturers finish, this then gives you a base to work from allowing the colourant to adhere correctly to the leathers surface. Without removing some of the colour, the new colour won’t bond correctly. 3/ The next stage is to colour the area to be repaired. 4/ Once coloured, you then seal this over with the clear coat sealers (Gloss and Matt Finish) the gloss and matt finish can be mixed together to give you a satin finish if this is the desired look you require, this can be done by mixing them 50/50.